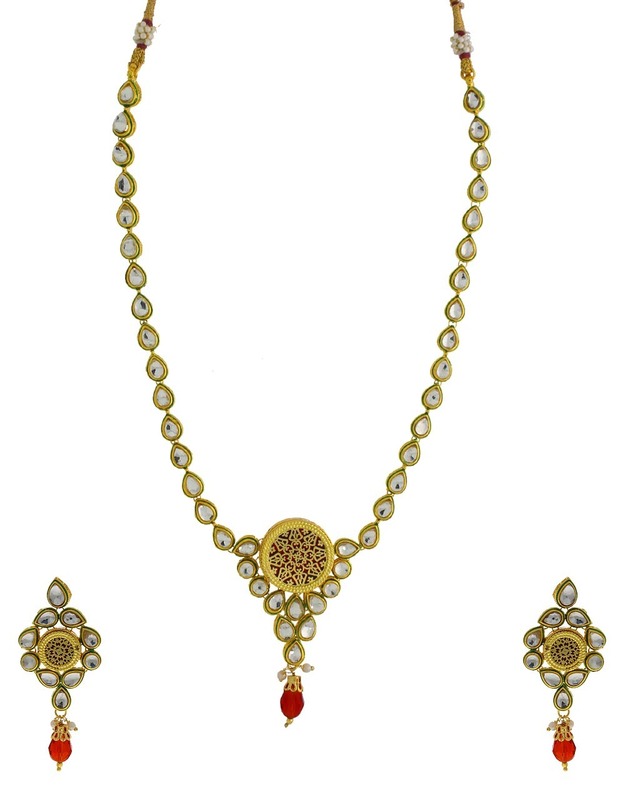 Introducing this kundan embedded designer artificial red colored thewa necklace set for fashion-conscious women like you. 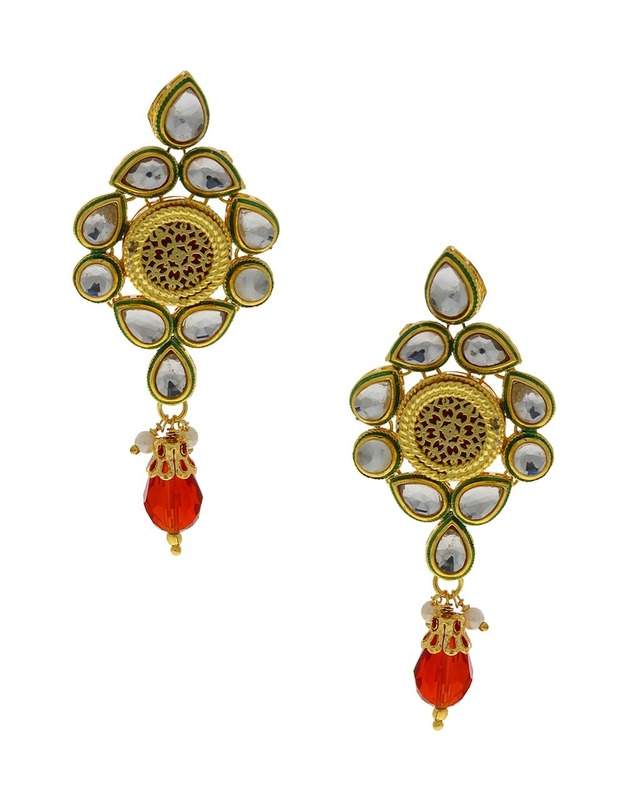 The middle pendant feature intricate carving design on mina work & has red drop for added attraction. 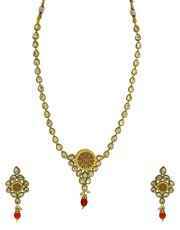 This metal crafted set will go well with all types of saree. Easy to wear & light in weight as well.